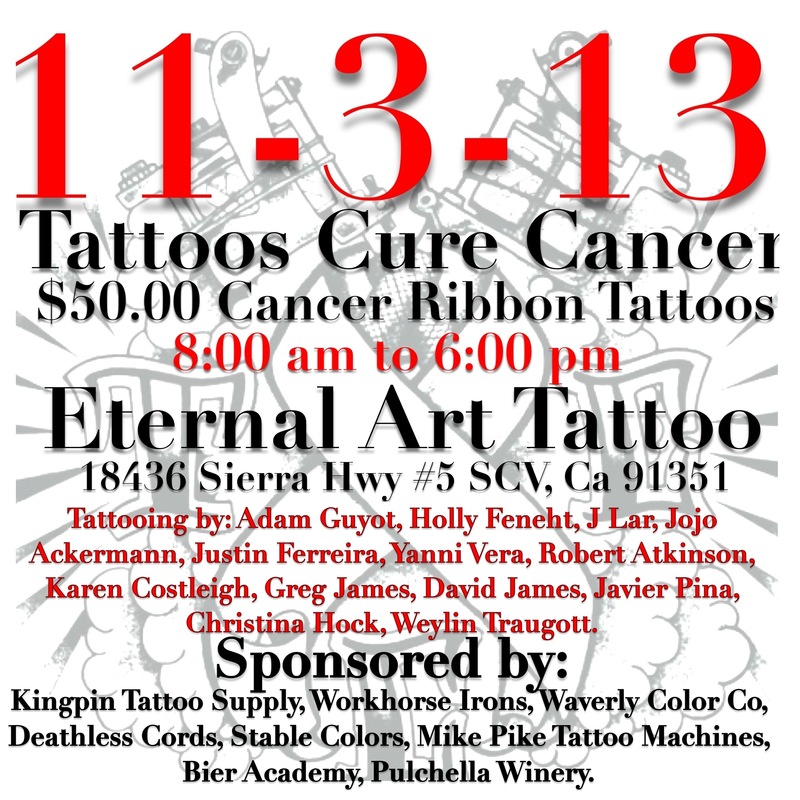 Come out and join us November 3rd, 2013 at the launch benefit event for Tattoos Cure Cancer. 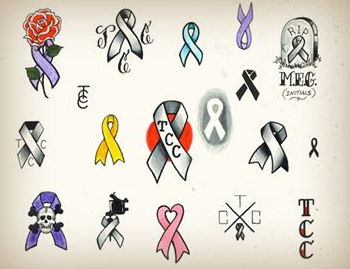 The Tattoos Cure Cancer (TCC) mission is to raise awareness through doing cancer ribbon tattoos and raising money through selling TCC shirts and other merchandise. All proceeds raised from Tattoos Cure Cancer will be divided into a couple categories. A percentage will go directly to cancer research to help find a cure for cancer. The rest will be used to aid those individuals and their families that are fighting cancer obtain life saving treatment that they would otherwise not be able to afford. Show your support in the fight against cancer and get a $50 cancer ribbon tattoo. We'll be featuring 10+ artists at the event: Adam Guyot, Jojo Ackermann, Justin "J-Lar" Larson, Holly Feneht, Justin "Lurch" Ferreira, Yanni Vera, Weylin Traugott, Robert Atkinson, Karen Costleigh and Greg James.